Gearing up for some quiet time out on the water? Check out our holidays in Albury and float away your troubles on nearby Lake Hume. Located at the bottom of New South Wales, Albury combines a small-town feel with big-city amenities, rural beauty and a delicious cuisine scene. Sounds like the recipe for relaxation! Take a heritage tour through historic landmarks, tuck in to cosy cafes and do a little wine tasting in the Rutherglen region. If you can’t get enough, we won’t make you go home—just follow the Murray River through the countryside. Already packing your water wings and sunnies? Scoop up some sweet Albury holiday deals and catch the current to your next destination! Start your Albury holiday with a breath of fresh air at Monument Hill War Memorial, where you’ll see some of the best views of the city. For less of a climb, wander over to Noreuil Park, located in the city centre, just a hop and a skip from Albury Botanic Garden. Talk about a double dose of peace and quiet. When you wanna trade bright blooms for colourful canvases, spend some time with MAMA—no, not your mum—the Murray Art Museum Albury. Most of the exhibitions showcase the works of contemporary Australian artists, so get in on the ground floor…literally, because that’s where the entrance is. Next, stop in at a quirky café and take a picnic out to Lake Hume, just 15 km east of Albury. Pick up one of Wotif’s awesome Albury car hire options and take a kayak with you for a little added adventure. But if you’re really, really not sportsy, that’s OK; there are a few country clubs in the area, so if you prefer nibbling canapes to paddling up stream, Albury holidays still have something for you! You won’t find strip malls in Albury, and that’s kind of the point. Instead, take a drive down Dean Street for a little shopping spree through local boutiques and regional retailers. For an experience that is all Albury (and its neighbour Wodonga), check out the Albury Wodonga Farmers Market, a weekly collection of fine arts, fresh produce and delicious snacks. Just look for the smiling faces and colourful stands at Hovell Tree Park. If lake days make you hungry, get thee to Dean Street. This thoroughfare is lined with restaurants and cafes featuring flavours from all over the world. Tuck in to Tandoori or find out what’s new with modern Australian eats. NOM. Conveniently enough, you can chow down and booze it up on the same street. When the sun goes down, consider Dean your BFF for fancy boutique bars and groovy gastropubs. Ready to slow down already? Book Wotif’s Albury holiday packages to save time and money planning your next big trip in New South Wales. Mix and match your choice of top hotels and airfares that fit your schedule right here. It’s so easy, you’ll think you’re already on holiday…well, almost. 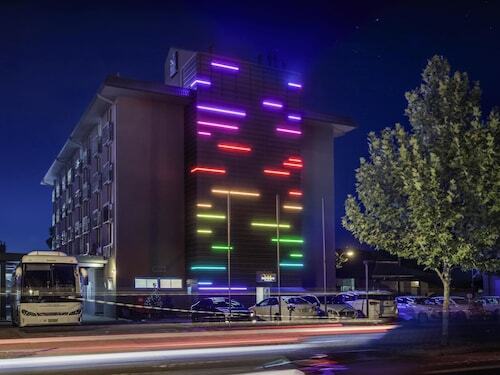 Situated near the airport, this hotel is within a 15-minute walk of Albury Library Museum and Albury Art Gallery. Commercial Golf Resort and Albury Botanic Garden are also within 2 mi (3 km). Albury Station is 12 minutes by foot. 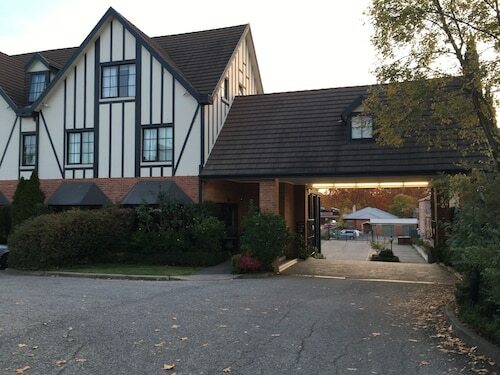 This family-friendly Lavington motel is located near the airport, 2.4 mi (3.8 km) from Commercial Golf Resort, and within 6 mi (10 km) of Albury Botanic Garden and Noreuil Park. Albury Library Museum and Albury Art Gallery are also within 6 mi (10 km). 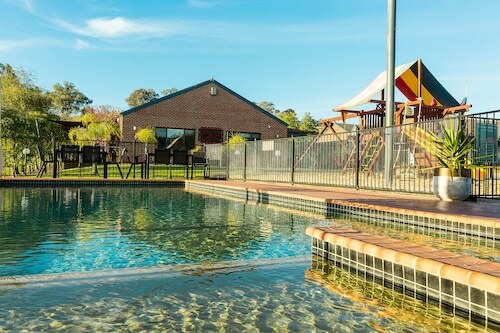 This family-friendly Wodonga motel is located near the airport, within 2 mi (3 km) of Army Museum Bandiana and Huon Hill Parklands. Belvoir Park is 2.5 mi (3.9 km) away. Located in the heart of Albury, this motel is within a 10-minute walk of Albury Library Museum and Albury Art Gallery. Albury Botanic Garden and Commercial Golf Resort are also within 1 mi (2 km). Albury Station is 15 minutes by foot.